A culture that is so riffled with variations of truth being preached, a breath of fresh air is needed. The pulpit has turned into a stage, with big productions, huge screens and flashing lights. Music is played longer than a sermon is taught, and people flock to these productions’ week in and week out. We have given up doctrinal teaching for feel good messages, and motivational speeches. With so many churches falling away, Joel Beeke’s Reformed Preaching is that breath of fresh air the church has so desperately been seeking. With many pastors coming out of seminary with a progressive mindsets and little concepts of preaching biblically it is easy to see how Churches are being led down a path of destruction. Joel’s sole purpose with this book is to bring the church back to the days of the Reformers and their successors, the Puritans. To show us how they led their churches and preached in a manner that was honoring to God. Reformed Preaching is a biblically sound look at historical church survey that brings back the need for practical divinity on experiential reformed preaching. Experiential preaching addresses the vital matter of how a Christian experience the truth of Christian doctrine in their lives. The book opens with the first few chapters laying out the need to come back to this type of preaching verses continuing on in our destructive manner of teaching. We examine the need for experiential teaching the different elements of reformed experiential preaching along different styles. Beeke then moves on in part two to discuss various styles of Reformers, and Puritans preaching and the impact them made on the history of preaching. He concludes the book with a look at modern experiential teaching and breaks down how preachers can apply this to their teaching. 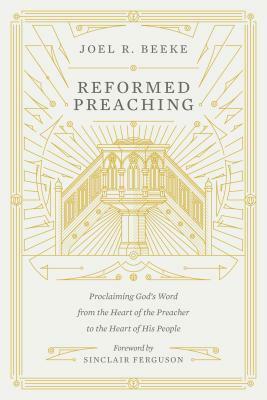 Reformed Preaching is the book that every serious pastor must have on their book shelf, and one that should be revisited often. Any man standing in the pulpit should examine and study the contents and seriously apply them to their ministry. This book hits right at the heart of the preacher and keeps driving forward, as a means to mold the preacher into the man of God he is called to be. There should be no other way of preaching than expository preaching and that is perfectly laid out in Reformed Preaching. *I received a free copy from the publisher in exchange for an honest review. Alex from Reformed Wretches read and reviewed this book for me. Check out his blog, and give him a follow on Instagram! My name is Rachel. I'm a twenty-something year old from Missouri. When I'm not reading, you can find me watching anime, playing video games, studying theology, or petting dogs.